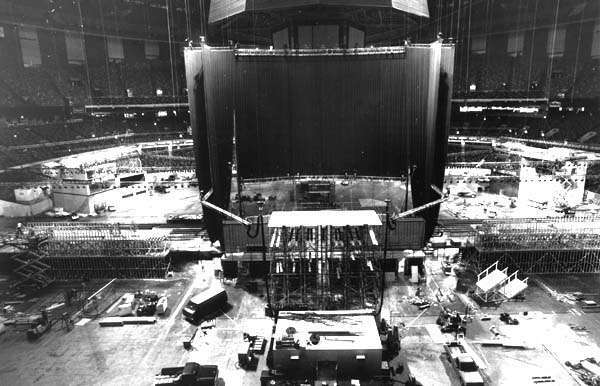 Interior of the Louisiana Superdome during preparation for the Republican National Convention, July 28, 1988. Interior of the Louisiana Superdome during preparation for the Republican National Convention which began on August 18, 1988. George Bush first used the much parodied phrase "kindler, gentler America." at the convention. The phrase was written by speechwriter Peggy Noonan.